Madison, the capital city of Wisconsin is a wonderful place to spend time with kids. We went on a weekend trip to Madison and thoroughly enjoyed our stay there. There are lots of fun things to check out at Madison. Madison, the University town is serene and beautiful. Romantic lakes, tree lined streets, fine restaurants and kids friendly attractions – Madison is a perfect vacation spot for the entire family! There are lots of interesting attractions at Madison, I have jotted down the places that we visited. Madison Children’s Museum: Open all days of the week, the museum offers hands on learning and creative play. Kids will definitely have a blast exploring the exhibits! Not just the older kids, even babies and toddlers will be entertained here. We took our 18 months old son and he enjoyed playing around. 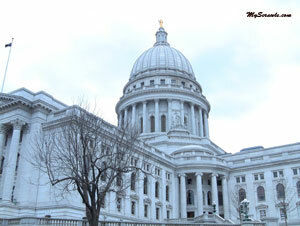 Tour Wisconsin State Capitol Building: State Capitol is open for public sight seeing all around the year. The museum at the sixth floor and the observation deck are open during summer months. 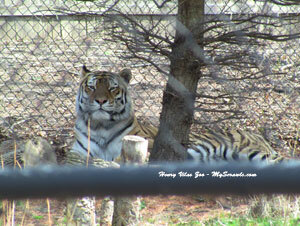 Henry Vilas Zoo: A well maintained 100 year old zoo is open year around and free to public! We went on a Sunday afternoon and our LO had a blast. Little Amerricka: This amusement park has roller coasters, rides and much more. Kids will definitely have fun here. Olbrich Botanical Gardens: Enjoy this garden filled with exotic flowers, birds and orchids for free! Apart from the above mentioned attractions, Madison has 13 beautiful beaches, Veteran’s Museum, Historical Museum and much more…! Cave of the Mounds: Commonly referred as “jewel box” of America, this million years old limestone cave is a great place to visit. There are guided tours available. We took a tour and the guide walked us through the history of the cave. We enjoyed seeing the limestone stalactites and stalagmites! Feel sick of winter? Tired of seeing snow? Venture the caves in winter! Yes, the temperature inside the cave is almost constant (at around 50F) around the year. 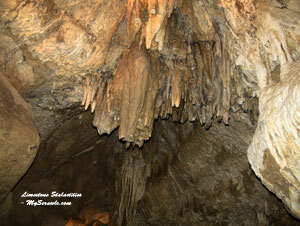 Cave of the mounds is about 27 miles from down town Madison and about 170 miles from Chicago. You can take your baby/toddler inside the cave. Its safe! We took our 18 months old son and he enjoyed looking around. Strollers are not allowed. Ensure that you dress your kid properly as the temperature inside the cave is around 50F. Things to do near Chicago: Thinking of taking a small vacation? A weekend getaway? Head straight to Madison! I keep searching for things to do near chicago, within 3-5 hrs of drive from the city. Am sure there are lots of people like me. Believe me Madison is a best bet! Wisconsin Dells, the water park is close to Madision too! Places to stay at Madison: There are lots of hotels at Madison. If you are travelling with family call ahead and make sure your hotel offers complimentary breakfast too. We stayed at Best Western and thoroughly enjoyed the B&B!